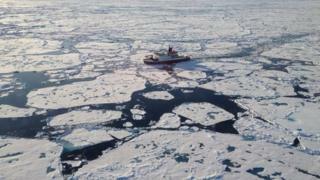 According to Helen Briggs of BBC News (full article here), record numbers of microplastics ( those less than 5mm long) have been discovered in arctic ice samples. Up to 17 different kinds have been found, demonstrating the breadth of this pattern of contamination. As this frozen water melts and the plastics return to the sea, these particles are gobbled up and by smaller fish and can make their way up the food chain. YIKES! In this fascinating read by Alison Abbott, the possible link between the immune system in the brain and the development of various forms of dementia is explored. Posted on April 25, 2018 April 27, 2018 Categories Science & TechTags Science & TechLeave a comment on Is “Friendly Fire” in the Brain Provoking Alzheimer’s Disease? Real, actionable insight into how you can limit you carbon footprint – what lifestyle choices do (and don’t) make a difference. Huge news for, well, all of humanity! We’re taking this thing (back) to the Moon! Check out the big news for NASA! Good News! Today, the U.S. House Science Committee is set to approve a NASA reauthorization bill, as well as legislation to create grants for research on STEM education and STEM workforce. Posted on April 19, 2018 April 20, 2018 Categories Science & TechTags SpaceLeave a comment on We’re taking this thing (back) to the Moon!